The Internet and Social Media has changed our ability to find information, and also to publish information. One significant area of this is our ability to publish information about ourselves, so that others can find, read and make decisions based on it. This opens up the opportunity for personal branding for everyone – business leaders, sales leaders, business professionals. No longer is it just celebrities; politicians, sports personalities, film stars, pop stars and others who have access to vast audiences through media. 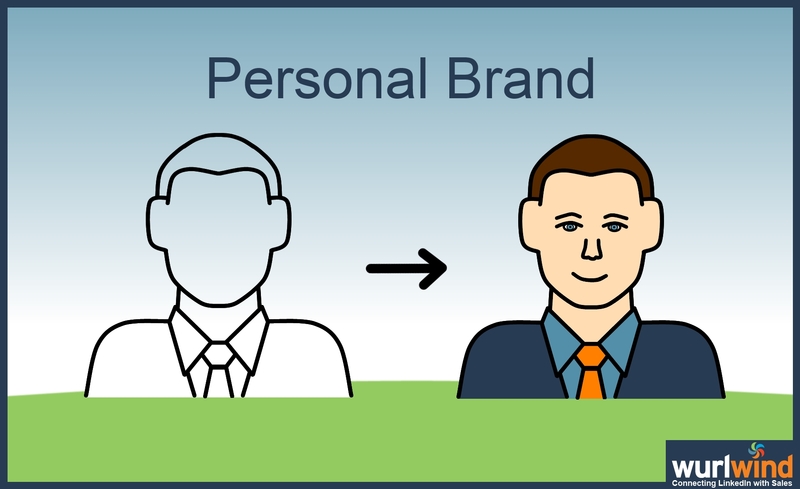 By investing a little time and thought we can all create and communicate a personal brand. For people in business this can be a huge benefit, in many many ways. LinkedIn is the principle place to publish the substance of our personal brands and establish our professional positioning. Share content that builds and enhances your positioning, to stay front-of-mind, start conversations and develop business relationships. The mechanics of the LinkedIn Profile is about execution. The challenge for many is (re)defining our purpose, positioning and proposition for the brave new world of Social Selling. A minimalist profile on LinkedIn is a missed opportunity, and could have negative consequences for your marketing, sales and customer relationships. Follow the LinkedIn Prompts and complete the various section for education and previous work experience etc. Use the Skills section to find keywords relevant to your role and position, and add them to your profile and to the text sections of your profile so you show up higher in the search rankings. Now is a good time to check out who is also in your space. Search within LinkedIn for your keywords and location, eg. LinkedIn Trainer Bristol for me. LinkedIn is not just for CVs and Job-seekers, so set yourself apart by writing with the goal of being more successful in your current role rather than your next one. If you’re a fee earner or part of the delivery or support team outline your contribution to clients and support for your customer facing colleagues along with your subject matter expertise. Find some of the thought leaders in your sector, particularly those in America, and see how they are describing what they do. The power of LinkedIn lets us go beyond What we know, through Who we know, to Who knows us. Kick-start that process as soon as you can, and build on it periodically.